I missed CES again, as usual, but there were many people who shared about some of the great new gadgets coming out. A big headline was the rash of new ultrabooks. This is great, but I am confused about why anyone thinks this is news. Small, lightweight notebooks have been around for years, even before the original 2008 MacBook Air. Apple almost invented the category with the PowerBook Duo 210 and 230 in October 1993, although the Duos miss the Ultrabook mark in a few respects. Their 10.9" x 8.5" footprint certainly qualifies, but not their 1.4" thickness or 4.2 lb. weight. 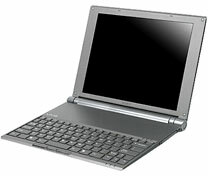 In 1998, HP released the Sojourn OmniBook, which can be considered the first ultrabook at just 0.71" thick. 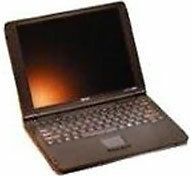 The Sojourn has a 12.1" screen, a 233 MHz Pentium II, and a conventional laptop hard drive, although one only 8mm thick, a breakthrough at the time. In 2004, Sony released the Vaio X505, which weighs just 1.85 lb. and ranges from 0.38" to 0.83" thick' it's wedge-shaped like the MacBook Air. It is powered by an ultra-low power 1.1 GHz Pentium M, and its battery lasts almost three hours. The original MacBook Air has a larger footprint than either the HP or Sony, is thinner overall, weighs 3.0 lb., and has a battery rated at five hours. I guess the news is that this category finally has a leader, the MacBook Air. Now when someone comes out with a new ultrabook, the media can all merrily compare it to the MacBook Air. You cannot compare it to other notebooks, because the features like processor speed, battery life, etc. are all less than a traditional notebook - and the cost is higher. The MacBook Air was originally criticized for the same reasons, but since it was a Mac, it had a different group of buyers to judge its benefits. 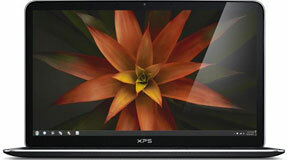 One of the ultrabooks to get special attention was the Dell XPS 13. It is so new that Dell just launched an official page for preordering it, but there are not a lot of details. 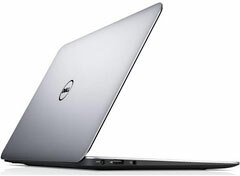 In my search, I came across an article by Harry McCracken, Dell's Little Big Ultrabook Looks Like a Winner. McCracken lays out the usual company marketing info on features, specifications, and design. But he had two statements that push his credibility. "No two manufacturers seem to agree on what an Ultrabook should be. That's neat, since it means they're experimenting." "But the XPS 13 looks way better than the rather odd Adamos - and it doesn't look much like a MacBook Air at all." Does the Dell XPS 13 Beat the MacBook Air? It's clear that what all manufactures want is to beat the MacBook Air, either with a bigger screen, more memory, or extra ports. They are all sick of Apple raking in the big buck while they all compete for low margin scraps. McCracken should have been able to figure that out, but instead he thinks Dell is "experimenting". The only experimenting is trying to figure out what extra features will be enough to take on Apple. McCracken is also blind to the design of the XPS 13 ultrabook. He may not think the XPS 13 - with its darker color, sprayed on coating, and a plastic bottom - is a match for the MacBook Air, but it is clear from the photos that Dell's marketing departmen tis trying to attract MacBook Air buyers. Even though the XPS is dark gray, several of the publicity photos have it lighted in a way so that it looks as bright as the MacBook Air. Size - Thickness 0.24-0.71" 0.11-0.68" 0.11-0.68"
Size - Width 12.4" 11.8" 12.8"
Size - Depth 8.1" 7.56" 8.94"
Weight 2.99 lb. 2.38 lb. 2.96 lb. If you didn't see the resemblance before, look at the near match for features. Please explain the keyboard and touchpad. Apple has used a chiclet keyboard on MacBooks since the first consumer MacBook shipped in May 2006, and Apple has since implemented it on all their notebook computers and separate keyboards. Apple was the first to use a glass touchpad. These showed up in 2008 on the MacBook and MacBook Pros. The Dell XPS 13 is definitely a Mac wannabe. I think Harry McCracken needs to rethink who all these ultrabooks are trying to be, especially the Dell XPS 13. If they imitated any more closely, Apple would probably sue them over trade dress issues. The only problem I have with the XPS 13 is that it is a 13" notebook claiming to be packaged in an 11" size. When compared to the MacBook Air, this is only partially true. The weight is closer to the 13" MacBook Air, as is the battery life. Dimensionally it's about midway between Apple's models (100 square inch footprint vs. 89 for the 11" MBA and 114 for the 13" MBA). The disappointing match up is that the screen resolution is the same 1366 x 768 as the 11" MacBook Air. That is not the best comparison for Dell. In this regard Dell looses to Apple. 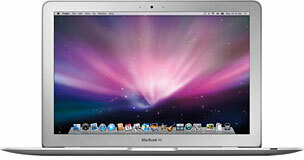 Apple's 13" MacBook Air has a higher resolution 1440 x 900 display that Dell's ultrabook lacks. Dell does win on storage size when compared with the smaller MacBook Air, starting at 128 GB, memory at 4 GB, and the option for a Blu-ray drive. If you can live with its screen resolution, the Dell sounds like a fair deal for Windows users. It looks like Dell has found a good blend of features to pursue the MacBook Air market by matching almost everything Apple does. Screen resolution was the one item that was sacrificed to hit the $999 price. We'll let the market decide if they made the right choice.